When talking to new clients as well as existing clients I am always asked about using old eLearning courses or training materials. We all have dated materials that with a little bit of updating would become an amazing new course. But how do we do that, how do we get organized? Sometimes it can feel overwhelming when you start to look at everything you have. 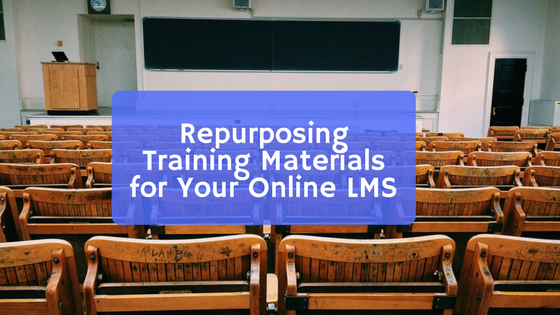 Chrisoforos Pappas from eLearning Industry has a great article where he shares 7 tips and tricks for repurposing content. Click the link below to read the entire article and hopefully come up with a plan on taking some of your old content and putting a fresh spin on it for your users.